Don’t let old age, disabilities or injuries prevent you from living an active lifestyle. With the right mobility aids, you can recover faster and live an active life for longer. Unsure which disability aids will help you most? From electric scooters to canes, crutches and walkers, we’ve compiled some of our favorite mobility equipment items here. Read on to learn about the different uses and benefits of each one! Electric Scooters – Motorized scooters allow individuals to easily transport themselves inside and outside. Today there are a variety of electric scooters available so you can find the type that best suits your mobility needs. Three-wheeled scooters are lighter than four-wheeled scooters and are easier to fit into a car. They also have a tighter turning radius so are ideal for small spaces and crowded areas. Four-wheeled scooters, on the other hand, tend to be more powerful, durable and stable, making them ideal for outside and rougher terrains. Manual & Power Wheelchairs – Like motorized scooters, wheelchairs are one of the best options for permanent or long-term mobility issues. Manual wheelchairs can easily cause fatigue, so they often are better suited for those with short-term injuries than for seniors or people with permanent disabilities. Power wheelchairs are more efficient than manual chairs, however, you receive no cardiovascular benefit. Power wheelchairs also weigh more and are harder to transport, but they are easier to use on a regular basis and provide more freedom and independence to users. Walkers & Rollators – Rollators, or rolling walkers, are perfect for anyone with mild to moderate balance or support issues. Rollators with seats allow users to sit securely if and when they get tired. They are great for anyone staying active for long periods of time. 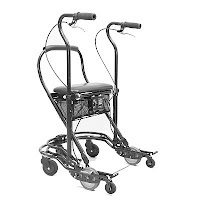 All walkers are designed to make life easier for seniors and anyone with muscle weakness or ongoing back pain. If stability is your biggest concern and you need to constantly lean on a walker for balance, a standard walker without wheels might be the way to go. Whether you’re tall and need an extra-tall walker, you’re an adventurer who needs an outdoor walker, or you want a lightweight and portable walker, you’re sure to find the one that suits your needs perfectly online. Crutches & Knee Walkers – For those with temporary injuries, canes, crutches or even knee walkers are likely the best mobility aids. Crutches are used when you temporarily need to get around without putting any weight on one leg or foot. Canes are more useful when you have minor trouble with balance or stability. Knee walkers are more comfortable and provide more freedom than crutches, so they’re most ideal for foot or ankle injuries and surgeries that require long recovery times. 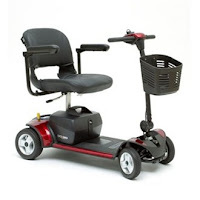 No matter what type of mobility aid you need, you can find it at PHC Discount Medical Supply. We specialize in delivering mobility solutions, aids for daily living and so much more straight to your doorstep. Our friendly and helpful staff is always happy to answer your questions about our disability aids, so if you’re still wondering which products are right for you, contact us today for help! Many people mistakenly believe that living with a disability means a lower quality of life. Prove them wrong and make this your best year ever by resolving to improve yourself, expand your horizons and become a fixture in your community. While the New Year is already well into gear, it’s not too late to set these New Year’s resolutions and make 2016 a year of change! 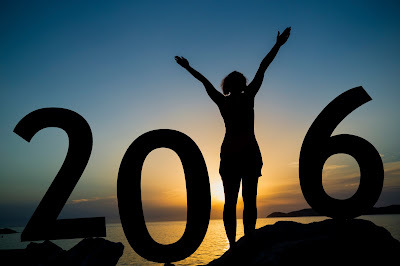 Start the new year with a list of goals that you’d like to accomplish. Write them down to help visualize the steps that you need to take to reach them. When you hit a slump and feel like giving up, look at your list and remind yourself that you may be a person with a disability, but that disability isn’t going to stand in your way. It’s easier to reach your goals when you have a solid background in the skills needed to keep moving forward. Look into online classes or courses that you can take at local colleges to expand your knowledge. Brushing up on computer and technology skills in particular makes your resume more attractive to potential employers and gives you access to an even bigger pool of educational resources. This year, seek out opportunities to meet new people both recreationally and professionally. Attend church, join a club or check out community events. Even picking up the phone and calling a friend for a few minutes every day can do wonders for your mood and outlook. You may also consider attending job fairs or trade shows to start building a network of influential contacts. Few things are more empowering than taking up a new craft or sport. Make it a goal to find something you love and master it over the course of the year. Whether it’s a calm hobby like knitting or an active one like playing a sport, you’ll always have something enjoyable to do in your spare time. Volunteering has a way of changing your whole outlook on life. The simple act of helping those less fortunate by donating your time to help serve meals, working at a non-profit thrift store or visiting elderly neighbors who don’t have family in the area takes you outside your own circumstances. You get a chance to connect with others who struggle in daily life and offer comfort just by being there for them. As you meet more people in the community, you’re likely to find groups specifically for individuals with disabilities whose members not only support each other, but also lobby for beneficial legislation. Getting involved with one of these groups gives you the chance to be influential at a local, state or even national level. You don’t have to be the best at any one thing to make 2016 a great year; you just have to put your all into whatever you decide to pursue. When you focus your energy on doing your best, you’ll leave a lasting impression on others that will make them rethink their views of people with disabilities.